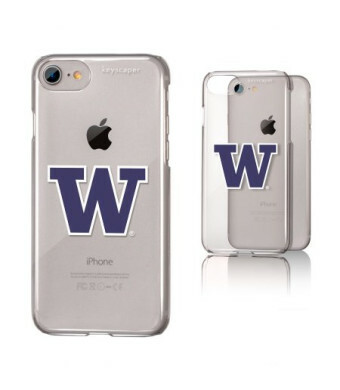 The University of Washington Clear Case for the iPhone 6 / 6S / 7 / 8 adds a layer of crystal clear protection and charisma to your beautiful phone without adding bulk. Don't mask the sleek stylish design of your device, make it yours with this slim case. From pocket to table to night stand, this case will echo you and your University of Washington love. 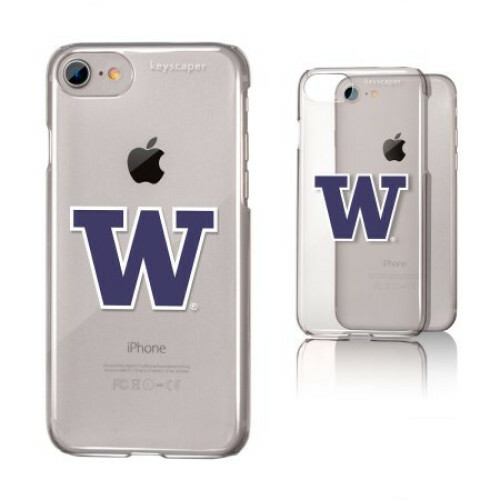 Designed and printed in Portland, OR, all Keyscaper gear is officially licensed and comes with a one year warranty against manufacturer's defects.